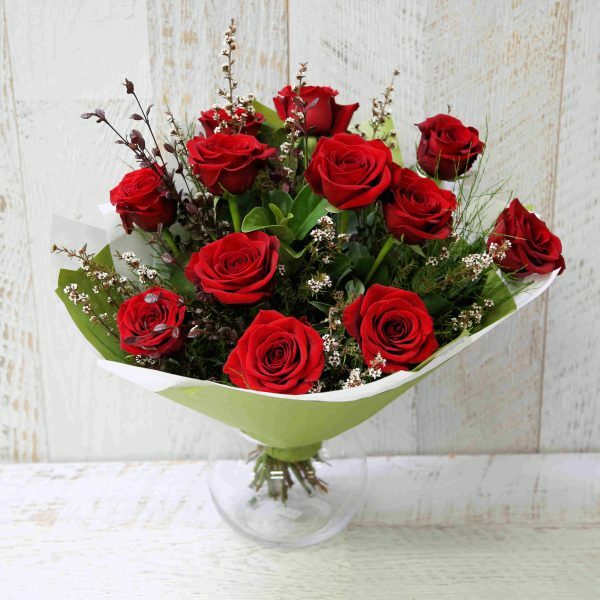 Stunning display of 1 dozen long stemmed Premium Australian Red Roses with complementary foliage in our signature olive and white wrap and satin ribbon. 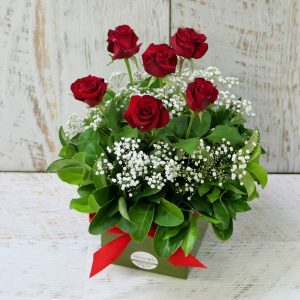 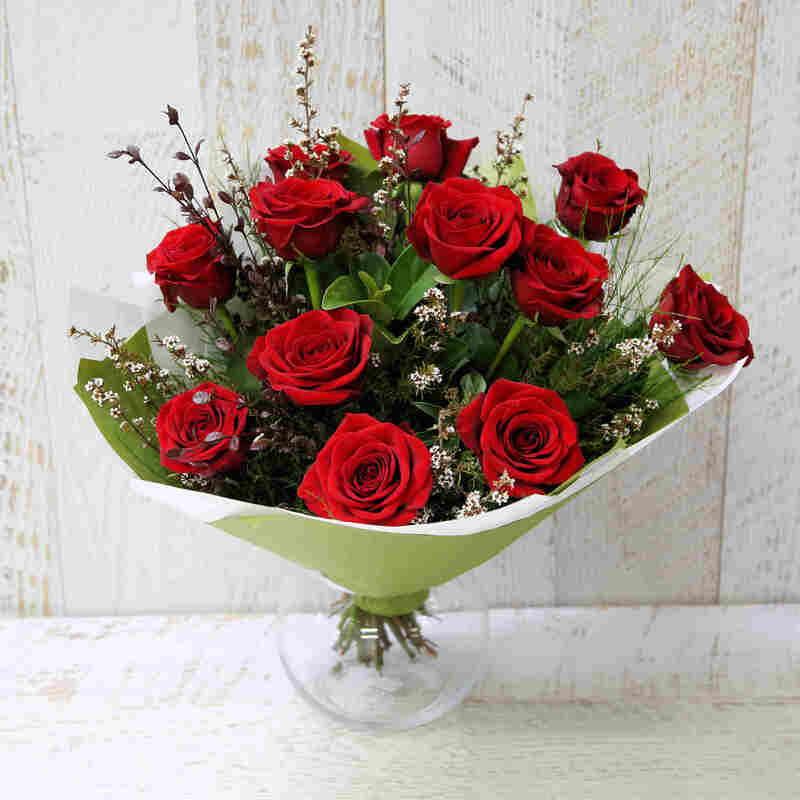 This romantic bouquet of Premium Australian Red Roses is prepared by our designer florists and can be delivered throughout the wider Gympie and Cooloola Coast region. 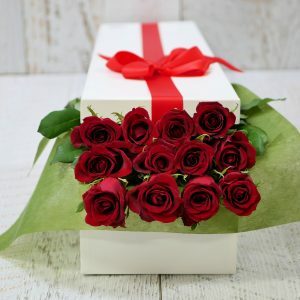 24 hour notice is preferred.